Why is your small business not being found in the local search results on Google? And just what is the difference between local search and regular search? Find out in this introduction to Local SEO. Learn the basics of local search and what impacts your website's ability to listed in the top results on Google. Learn about local directory listings, or citations, and what they mean to your business. Find out the minimum requirements to place directory listings and where to start. Do you look at online reviews before trying a new restaurant or making a hotel reservation? Online reviews can have a huge impact on whether or not a prospective customer is willing to try your product or service. Learn how the search engines look at reviews. Your website is really the core online marketing piece your company has. All your marketing activities and social media, stem from your website. Learn the different factors of your website that impacts local search results. Learn the basics of the top 5 social media networks and how you can use for local friendly activities. Using email with social media should play a big part in your local search efforts. Email and social go hand in hand. Learn how to use them for local results. Learn how to blog with a local flair. Get 10 great ideas on how you can start blogging with local intent today. How exactly does Google decide who is in the top search results and what is impacting your business' ability to show up in the local 3 Pack on Google? Find out with the Top 10 Local Ranking Factors on Google. The Top 10 Negative Ranking Factors for Local Search. If your business is dealing with any of these, it’s going to be very hard for you to get the good search results you’re striving for. With all the different marketing options, where should you focus your efforts? Learn how to prioritize and choose the best combination of marketing techniques to positively impact your local search results. Wrap up of our course on local search ranking. Local search can heavily impact whether or not your audience can find your business in your own town or city. But with some time and attention to local search marketing techniques, you can beat the competition in the race to place in the local search results. In this course, we’ll define local search and look into the many different factors that help Google decide if you stack up against the competition to win one of the top 3 local search results for your business keywords. We’ll discuss the local listings directories and the importance of citations. Then we’ll look at the importance of reviews and ratings from your customers. A variety of online marketing efforts such as social media, email marketing, and blogging can all be done with local flair and intent. We’ll pass along some great tips and tricks to help you with content and posts that can increase local awareness. 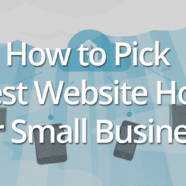 Your website plays an important role in your local search efforts, so we’ll look at a couple of things you want to make sure your website has in place. We’ve also got two great top 10 lists to guide you to the do’s and don’ts of local search ranking factors. Lots of great information in this presentation, so get ready for local search success.